Wigan Warriors have signed Joe Greenwood from the Gold Coast Titans on a three-and-a-half year deal. 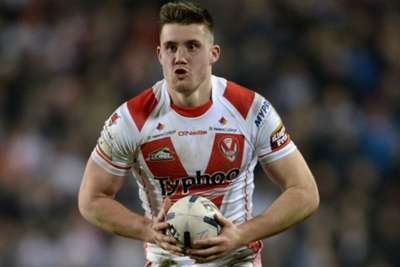 The 25-year-old forward, who made his Super League debut for St Helens, moved to the NRL last year but will return to England after 22 appearances for the Titans. Greenwood is expected to arrive at the Warriors later this month as the club aim to win a fifth championship in the Super League era. "I am really pleased to have signed a long-term deal for Wigan and to move onto the next chapter in my career," he told Wigan's website. "Wigan is a massive club. I felt it was the right decision to make and a great opportunity for me. I can't wait to get over there and get stuck into the business end of the season." Greenwood's signature came hours after it was announced that Joel Tomkins had left Wigan to join Hull KR, but the Warriors were already in talks with the second-rower according to executive director Kris Radlinski. "We have been engaged in discussions with Joe and his representatives for a good few weeks now, but last week negotiations progressed quickly and we are now in a position to announce him," he said. "He is a big athlete who always caused us problems when he played for St Helens and I'm very excited to see him in a Wigan jersey. "Joe is a great addition to our squad and we look forward to welcoming him here."